3 pounds of chubby cuteness! Isn’t Barkley adorable? He’s so chubby and cute. 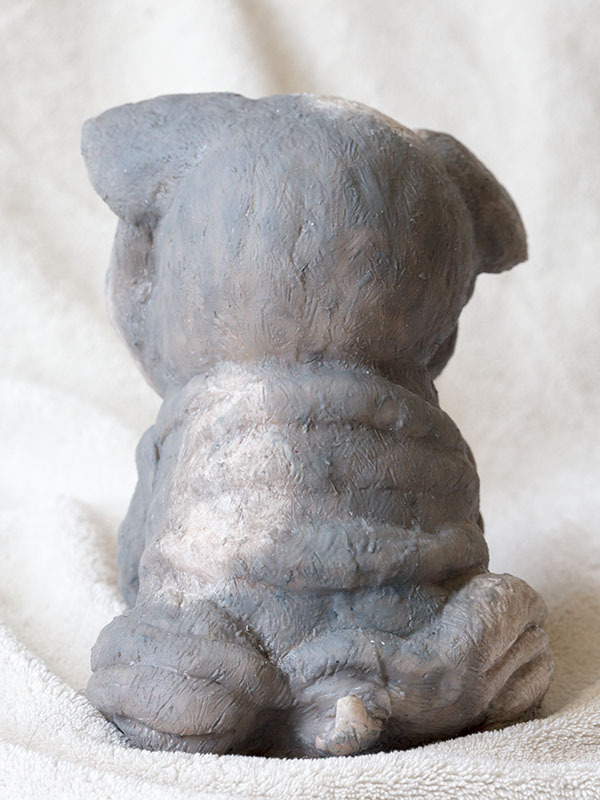 I made sure to sculpt him with a bunch of rolls. The best part: Barkley won’t ever drool on your floors! 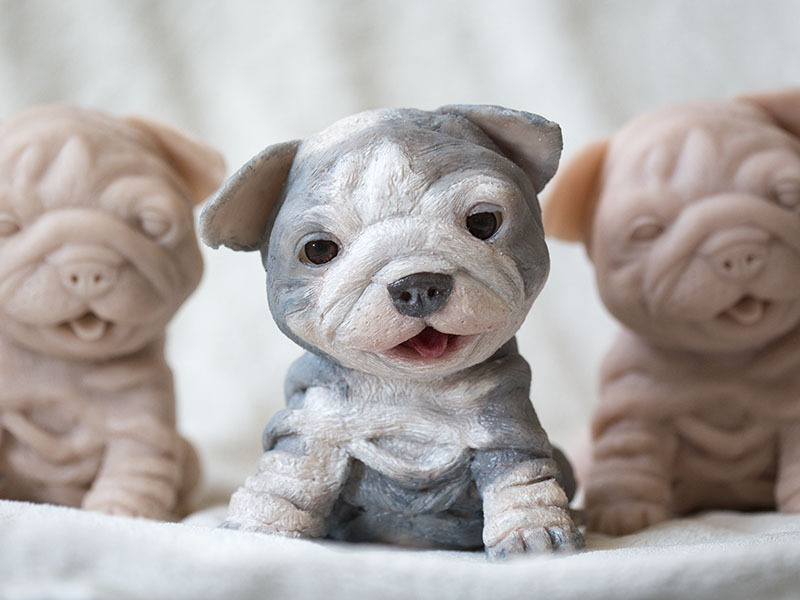 Bull dog puppies represent an interesting mix of funny looking and cute. 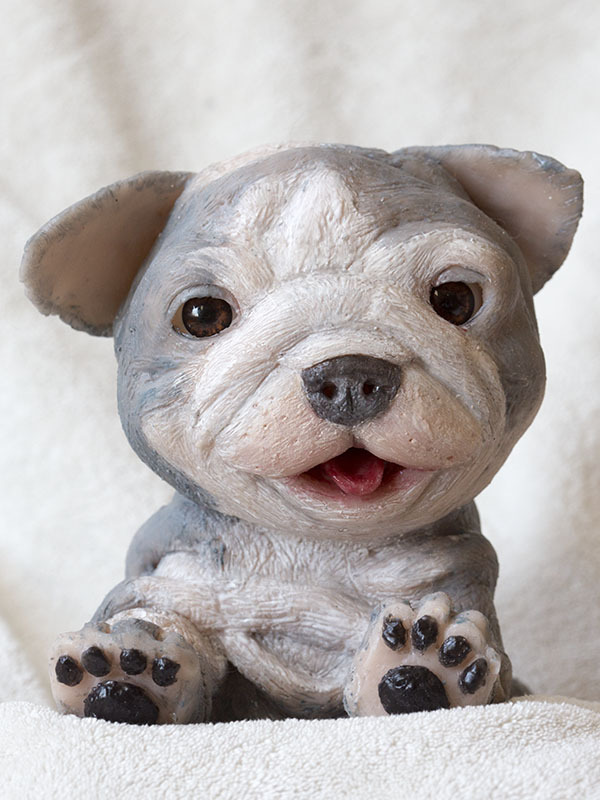 Barkley is my first silicone dog and he has been a joy to create. 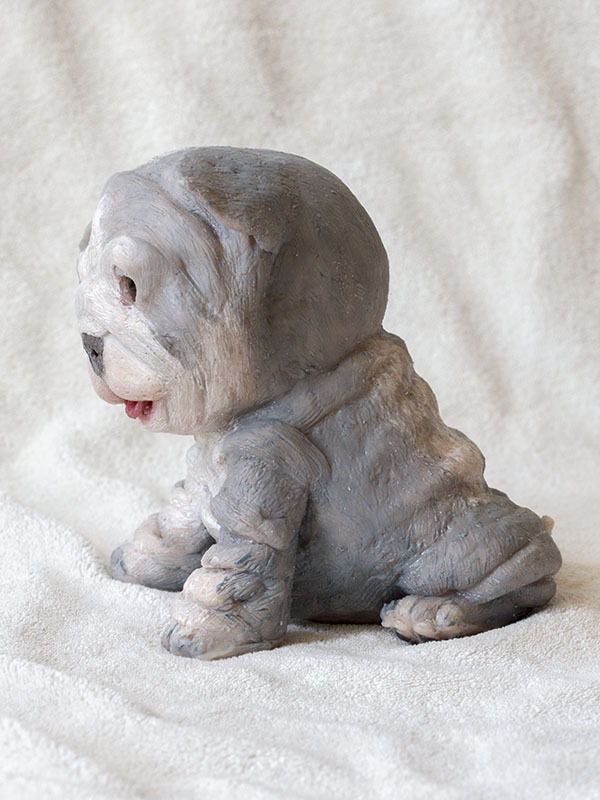 Poured in the soft platinum silicone Ecoflex 30 with no additives of any kind, Barkley is soft and cuddly. Wiggle him and you will notice his ears flap! 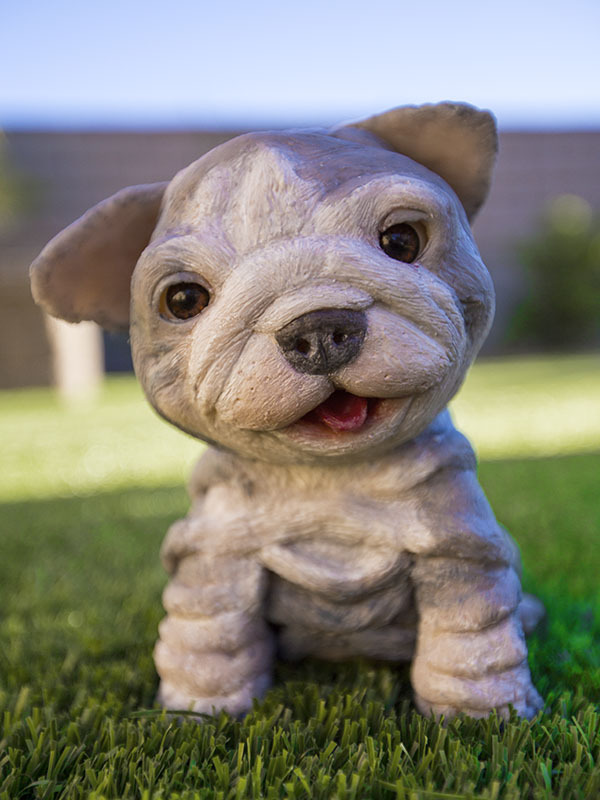 The best part of having a silicone bull dog is that you’ll never have any messy accidents on your floors. You won’t even find any drool coming off of this bull dog either. 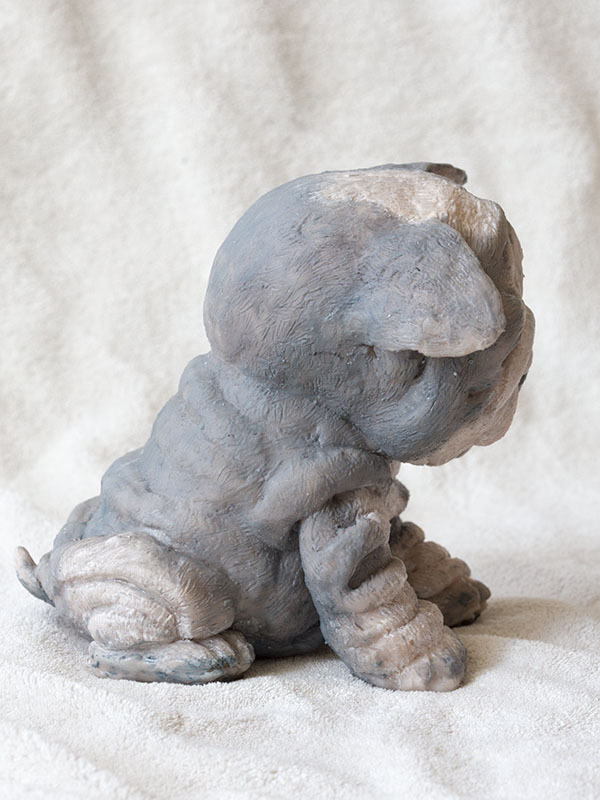 Barkely has been painted with my own mix of silicone paints that will last forever. They will not be rubbed off. The only way to strip it off is to sand it off carefully. Thank you for the wonderful feedback. 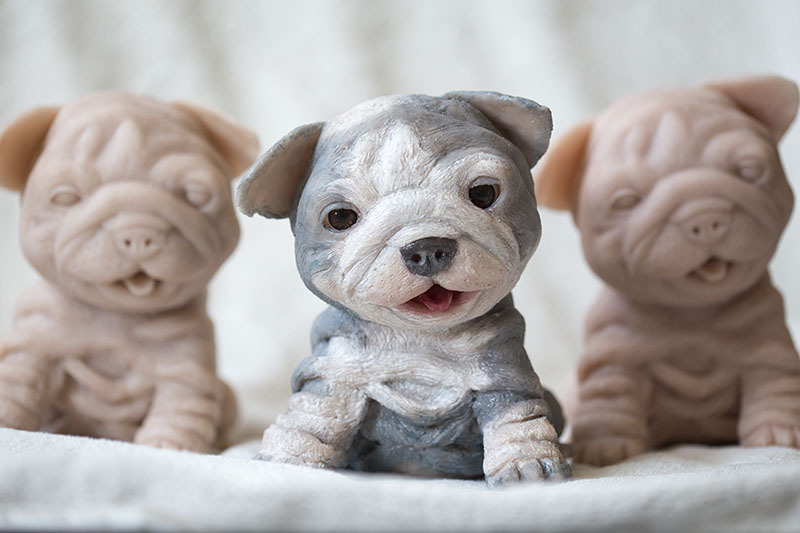 I think more cute silicone pets will be joining the flock in the future.